The holiday season is upon us! Next week my son and I are going to prepare a ton of holiday treats to pass out to family and friends while he is home on Thanksgiving break. Next weekend we will be traveling up north to hang out with our extended family in northern Indiana. 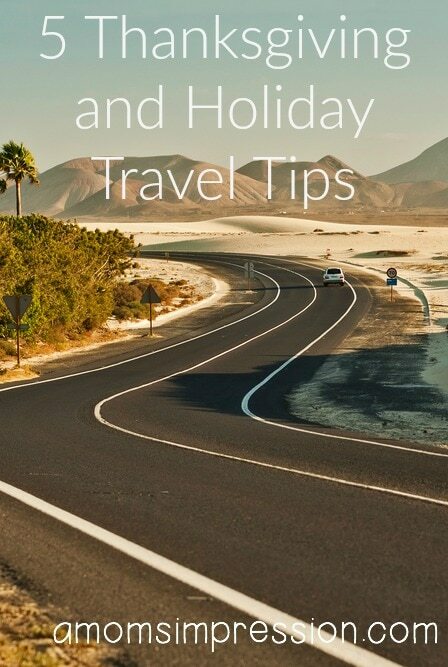 Sometimes road trips can get a little stressful with kids, but I have some great holiday travel tips that will help ease the stress and make the trip a little easier. Kids can be unpredictable, it pays to be prepared. I always keep tissues, motion sickness medicine, wet-wipes, and disposable plastic bags with us for every road trip. You never know when you are going to need these items. 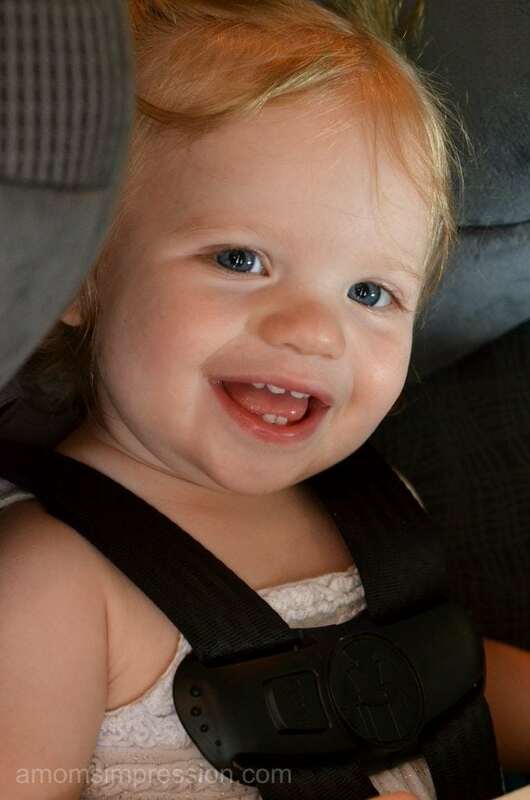 If you are going for a long trip, I suggest you schedule it around your kids’ nap times. I try to take off about an hour before I know they will get sleepy so that I don’t have to wake them up once we get there. My kids can get pretty cranky when they wake up and I don’t want to have to walk into Thanksgiving Dinner with cranky kids. Anytime we travel, by car or by plane I make up activity backpacks for the kids. They both have a designated backpack to use. I fill them up with books, puzzles, games and some of their favorite toys to keep them busy in the car. 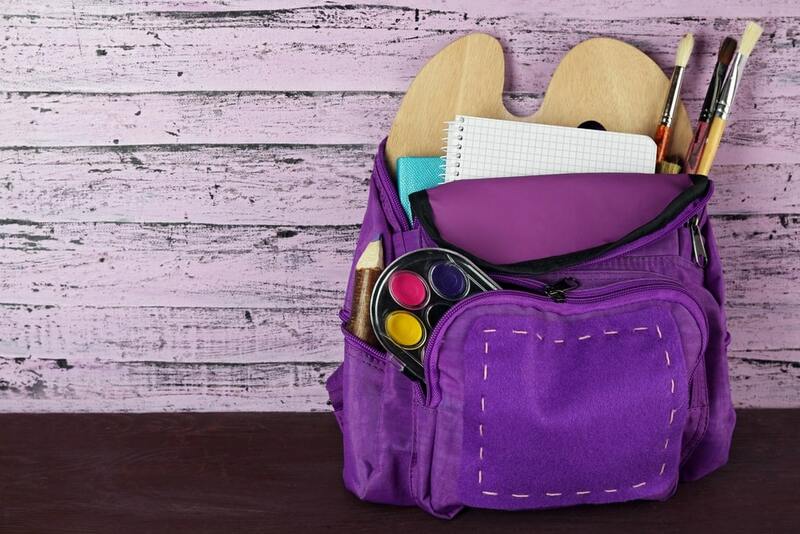 We limit the use of iPads, but they will also be inside the backpacks for designated screen time. I love being able to personalize these for each kid, and sometimes I will buy something new just for the trip that they can get excited about. Having the peace of mind that there is a service you can count on in case your vehicle doesn’t cooperate is invaluable. Allstate’s Goods Hands Rescue® service is an on-demand, pay-per-use roadside assistance service accessible both online and via the free mobile app. They will take care of anything from flat fixes to jump-starts to fuel delivery. What is fantastic about this service is that you can get immediate mobile access to convenient roadside services and pay for them only when you need them! That is right there are no membership fees and no policy required and you don’t have to be an Allstate customer to use it. The Good Hands Rescue® service has many great features including 24/7 help. Roadside assistance is available around the clock with service providers accessible any day or time. Their services include towing, lockouts, dead batteries, tire changes and jump-starts. Allstate’s Good Hands Rescue® service is available as an app for free (download from the App Store or Google Play Store), or via the mobile website at m.GoodHandsRescue.com. As we all know, next week is a huge travel week. On Wednesday, November 23, Allstate’s Good Hands Rescue® service will be running a promotion where travelers can receive roadside rescues for $2 for the first 1,000 requests for standard vehicles* (no RV’s, commercial trucks). You will be able to use the mobile website or Good Hand Rescue® mobile app to access promotion. It’s such a stress-reliever to know that there is help available if you need it when traveling. Drive safe this holiday season, and let me know some of your travel tips! * Promotional pricing available only for first 1,000 requests on 11/23 from 12:00am to 11:59pm CT made from m.goodhandsrescue.com or the Good Hands Rescue app in the United States. Applies to standard vehicles only; no commercial, RV, extra weight. Towing limited to 5 miles; additional miles priced at $4.25/mile. Fuel costs extra. Must have valid credit card. Subject to terms, conditions, and availability.